A current legislative instrument establishing the highest parent visas number to be given this program year (1 Jul 2018 to 30 Jun 2019) was been published this week. The numbers to be given have continued unchanged, with non-contributory parent visas (Parent visas (Subclass 103), and Aged parent (Subclass 804) visas) capped at 1500. Different family visas (Aged Dependent Relative (Subclass 114 and Subclass 838) visas, Remaining Relative (Subclass 115 and Subclass 835) visas, and Carer (Subclass 116 and Subclass 836) visas) are capped at 500. · Contributory Aged Parent (Subclass 864) visas. However, there is one significant difference within this year’s numbers and the previous. Since permanent retirement visas were launched in Nov 2018 and should be made by appealing for a Subclass 143 visa, of the 7175 contributory parent visas, 125 in those have been allotted to permanent retirement visas. 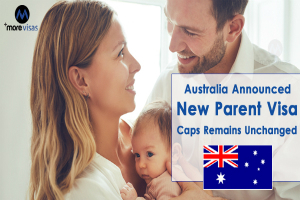 As earlier reported, the previous year was the opening year in memory a limit was fixed for the contributory parent visas number to be given in a program year. Capping them was common likely because of an addition in the applications number made. When parent visas of non-contributory take approximately 30 years to process because of even further aggressive limits, no suspense sponsors and their parents have tried the higher expensive path for quicker processing of the Visa. This theory is backed by a Freedom of Information (F.O.I) appeal made last year revealing the number of yet to be processed (on hand) parent visa appeals approaching 100,000, with contributory parent visas composing 86% of all parent visas lodged from the period 1 Jul 2018 to 31 Oct 2018.